Bruce A. Block is a tenured professor and holds the Sergei Eisenstein Endowed Chair in Cinematic Design. Professor Block has over thirty-five years of experience in the production of film, television and digital entertainment. His career encompasses live-action feature motion pictures, television programs, commercials, documentaries, animation, video games, museum installations and IMAX films. 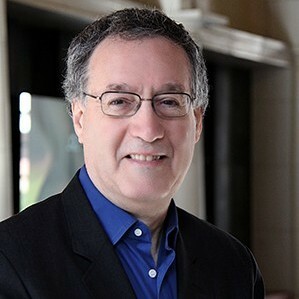 Professor Block produces major studio motion pictures including The Holiday, Something’s Gotta Give, Christmas With The Kranks, What Women Want, Father Of The Bride, The Parent Trap and Baby Boom. Block also serves as a creative consultant. These credits include How Do You Know, Stuart Little, As Good As It Gets, The Great Outdoors, Some Kind Of Wonderful and Pretty In Pink. He also conducts seminars on the visual structure of film, television and digital media for animation studios, advertising agencies, computer game companies, and graphic design studios in America and Europe. His clients include Activision, Blizzard Entertainment, Blue Sky Studios, Blur, Direct TV, DreamWorks Animation, Hasbro Interactive, LucasFilm, Hewlett-Packard, Nickelodeon, Pixar, Screen Training Ireland, Starz Entertainment, Treyarch, Troika Design Group, Valve and several divisions of the Walt Disney Studios. For over twenty years Professor Block supervised visual effects for film, television and NASA simulations. He has worked extensively on documentaries and informational films for museums, private industry and various government agencies. His book, The Visual Story, now in its second edition, is published in nine languages and is used by students and working professionals throughout the world. His second book, 3D Storytelling, co-written with Phillip McNally, explains the principles of integrating 3D photography with a narrative story. Professor Block is a member of the Director’s Guild of America and the Art Director’s Guild.